As the weather warms, I'm noticing we go out exploring more often - whether on a new trail or just hanging out at the park. However, it also means we're not at home with easily accessible food. The solution? Granola bars. I like how customizable they are, and these are full of protein to help keep you from getting too hungry (or hangry, as the case may be). 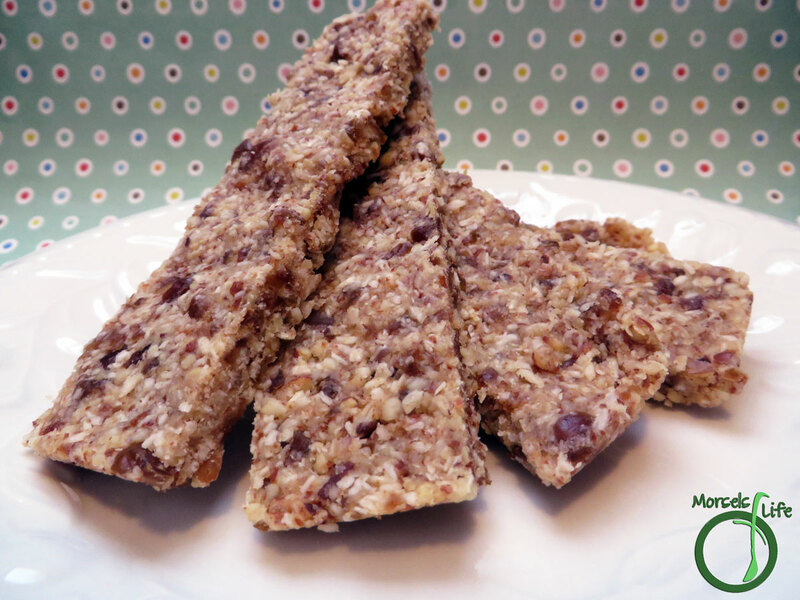 Initially, I made these granola bars for James since he didn't mind the smoked almonds. I didn't find them quite appetizing by themselves. We were also doing the whole "no added sugar" thing while he was at jumpmaster, so the bars he usually brings were out. I figured I could use the smoked almonds and make him some granola bars. Two birds and all. I threw in some dates for binding and sweetness and some coconut because it's yummy. 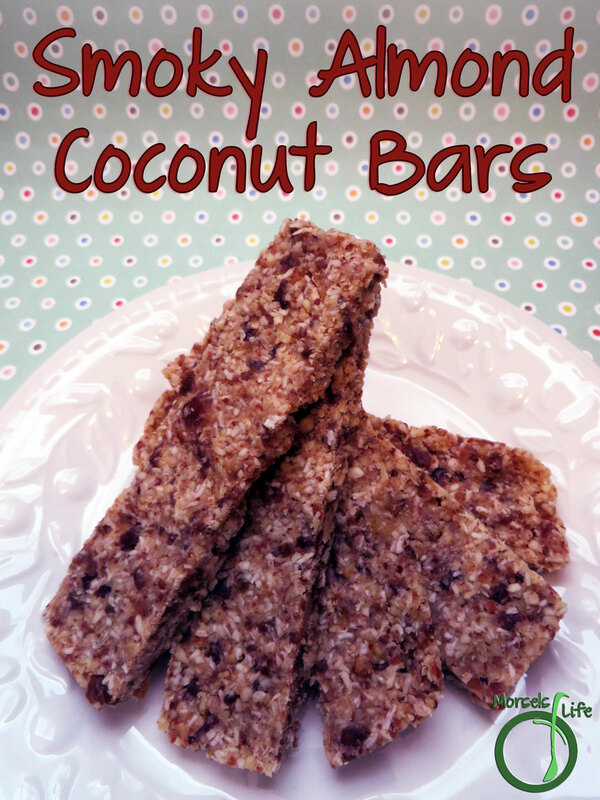 After making these bars, I reluctantly tasted one. A blogger's gotta taste her own work after all. Now my tune's changed about those smoked almonds. I still doubt I'll eat them plain, but mixed into these granola bars? Delectable! 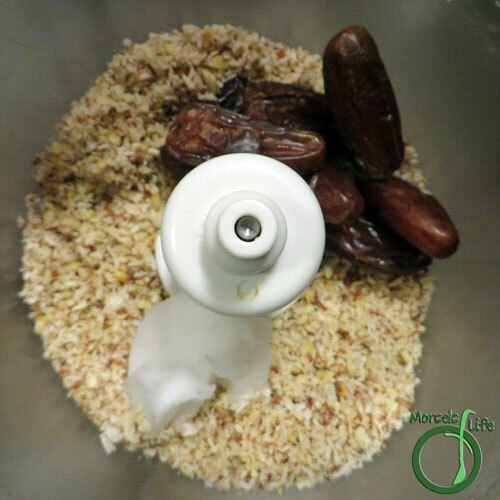 I'm not sure if it's the dates or coconut or just the combo, but I'm definitely making these smoked almond coconut bars again! And! 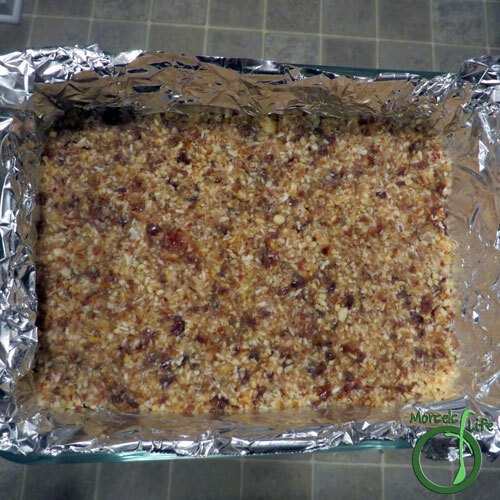 It's no bake, so no need to fire up the oven either! What's a food you don't like, unless it's mixed with other foods? 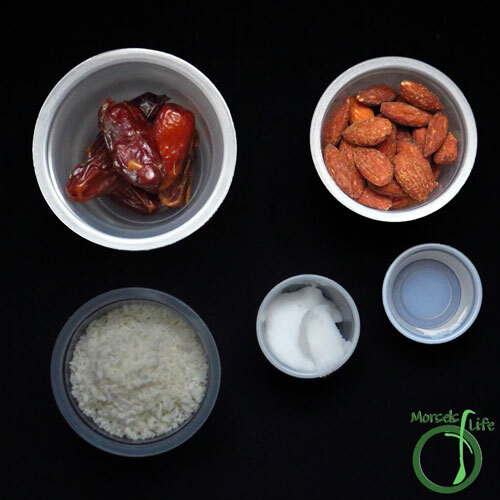 Smoked almonds formed into a sweetly savory granola bar with coconut shreds and dried dates. 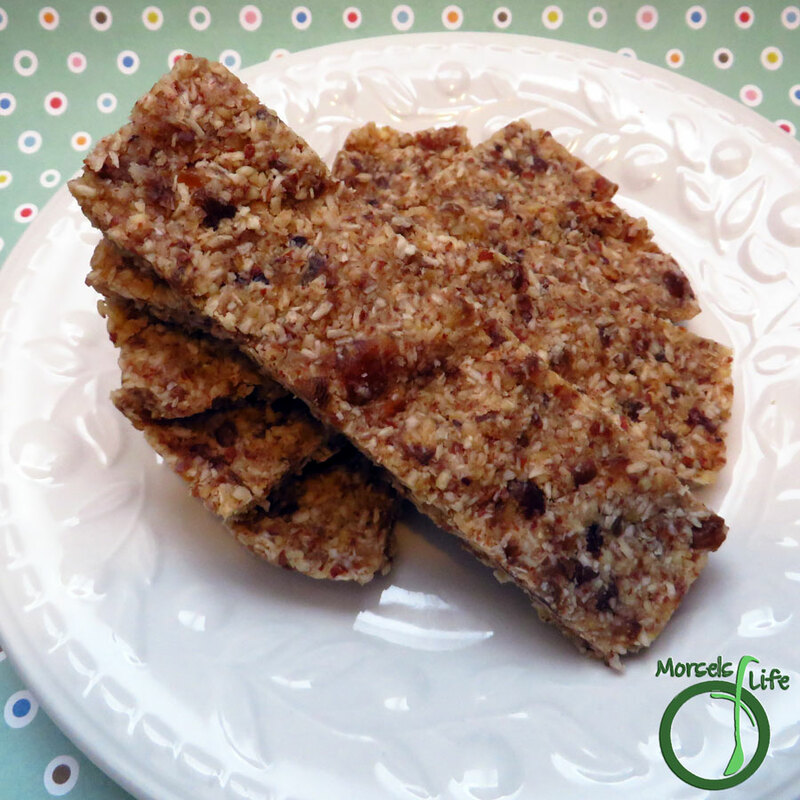 You've got to try these smoky almond coconut bars! 2. 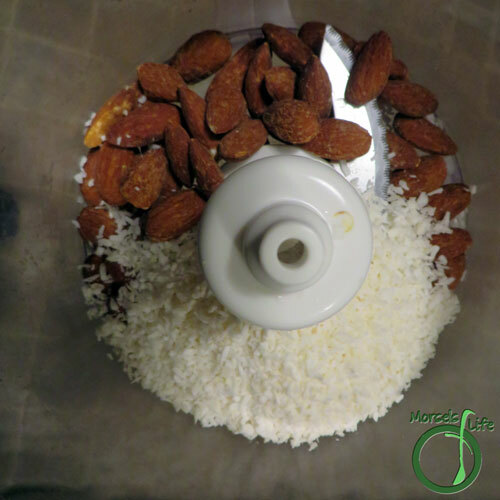 Process together the smoked almonds and coconut shreds. 3. Add in remaining materials and process until desired consistency reached. 4. Press into foil lined container, remove from container, and cut into bars. They look delicious and I love that they don't have honey or other sugars. I so appreciate you sharing your post at the #AnythingGoes Link Party. I'm looking forward to what you'll share with us next week.